1 peter 4:17 judgements begin to rain down from Jesus upon His church visible, which is spreading spiritual darkness across spiritually spineless evanjellyfish. As such this online apologetics and discernment work here at Apprising Ministries continues with our documenting what appears to be the New Downgrade No-Controversy. Previously in Ken Silva With A Word From God For NAR False Prophet Chuck Pierce, I mentioned that early in my Christian walk I ended up for a while in a Word Faith church, which was heavily influenced by that uber-nefarious WF heretic Kenneth Copeland. In other words, I was once quite personally involved with WF teaching. That understood, I know the lingo well and I’m amazed to see such a growing syncretism within evangelicalism that I never would have imagined in my wildest dreams. Now we turn more specifically to the rapidly rising red hot Seeker Driven prophet-pastor Steven Furtick, who seems to be everywhere lately. In James MacDonald On Criticism I reminded you that MacDonald recently turned his pulpit over to Furtick. Then in Steven Furtick And James MacDonald I showed you that MacDonald’s decided to be keynote speaker for an upcoming conference for Steven Furtick; and in that former article you’ll see that it won’t be the first time he’s preached for Furtick. 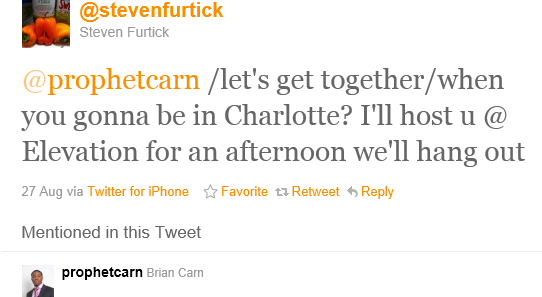 From closely monitoring the meteoric rise of Steven Furtick here’s where I think he’s headed. Furtick is quite possibly maneuvering to play upon MacDonald’s credibility to make himself appear more legit with the younger of the YRR demographic. The 31 year-old Furtick is a sharp and well trained Leadership Network type and one of his mentors is prosperity mogul T.D. Jakes. You’ll even see in Steven Furtick And T.D. Jakes he’s about to bring Jakes to speak at that aformentioned conference. In her well-researched post Steven Furtick is Lookin’ for the Favor Erin Benziger clearly shows that Furtick, who’s discernment is so skewed he calls WF prosperity preacher Joel Osteen a great man of God, is also making a move into that Word Faith camp. An 88 day fast; I guess apparently we’re supposed to go, “Wow, how holy; that’s even more than twice as long a fast as Jesus Himself!” Um, unfortunately, from what I just read above I really don’t think the fast has served him too well. Carn couldn’t tell Benny Hinn was a false prophet? He’s just about as easy to spot as it gets; and worse, Carn appears to be using this “prophesy” spewed by Hinn is a positive way. But who would really want a double anointing of phony? Politely, now let’s think this through. What does this say about so-called prophet Brian Carn? 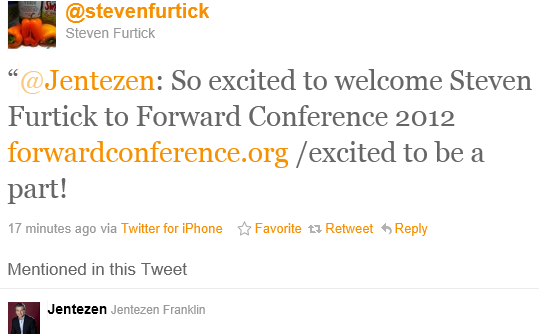 Then, what does this tell us about the direction and discernment of Steven Furtick? And so, we ask why would James MacDonald want to be involved in this? Again I will tell you that Steven Furtick’s a growing darling within evangelicalism with enough clout already to have the attention of Word Faith superstar “Bishop” T. D. Jakes. Let me warn the church, you ignore all of this at your own risk. Here in part two, appearing at times on the edge of self-control, you will witness Brian Cain literally punch people—including women—right in the chest and push them down.